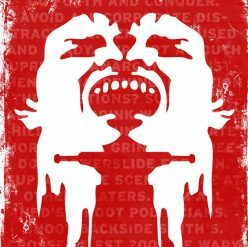 Good news for skateboarders comes officially from Bay Sixty 6 skate park this week in that the good, old Wednesday night session is finally back to being a skateboards only affair. Since the re-opening, Wednesday nights have been shared with fruit-booters who have made it their own night out, which has seen the traditional sesh become somewhat frustrating. 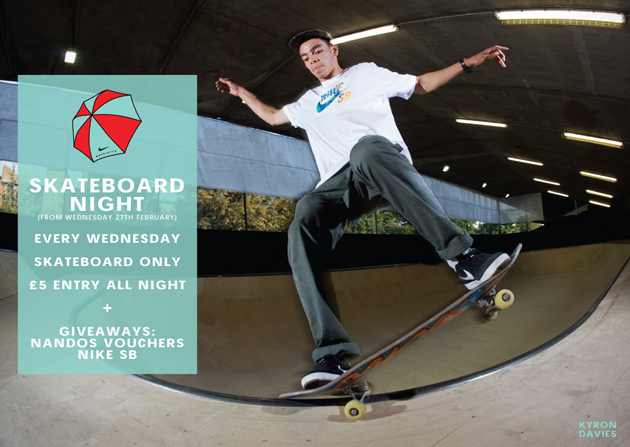 Following various chats with ourselves in here and local skaters, the Bay owners have now made Wednesday night an official skateboard night only, every week, so get down there and enjoy it. A trailer for an upcoming edit featuring skateboarding from Tunbridge Wells area has been released with footage of Ash Humphrey, Alex Malcom, Danny Abel and more. Look out for Santiago Pilgrim’s edit soon but whilst you wait, enjoy footage of Abel and Ben Woodhouse skate the new bay park. 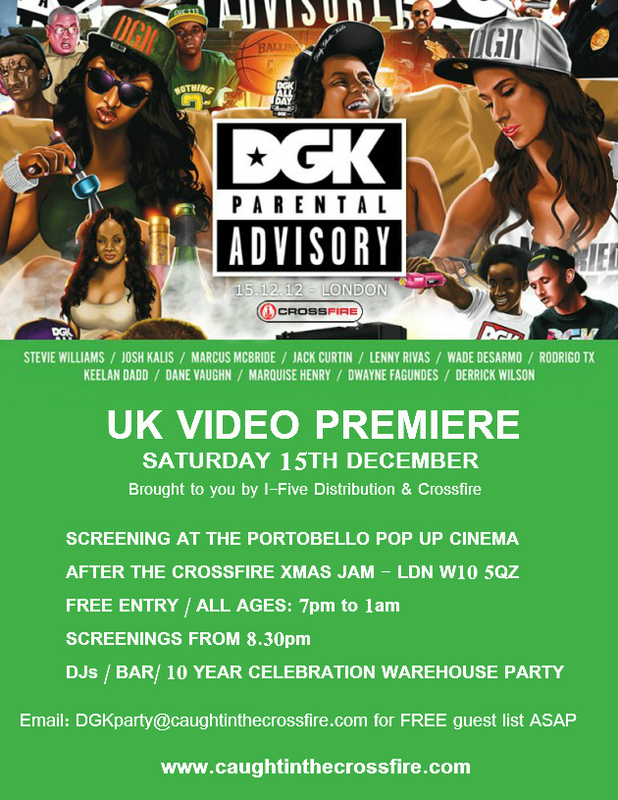 We can confirm that Crossfire will premiere the long awaited and highly anticipated DGK video ‘Parental Advisory‘ after the 10th Anniversary Crossfire Xmas Jam on Saturday December 15th. This event will take place in the Pop Up Cinema on the same road at BaySixty6 skatepark followed by a warehouse party until midnight from 7.30pm. More details regarding tickets will be revealed very soon with an official flyer, but for now, plan a full day and evening of good times ahead in your diary. In the meantime, here’s the latest video from DGK featuring two of their newest flow riders Ryan Guiso and Schmatty. DA PLAYGROUND – CO-OP – RYAN GUISO & SHMATTY from KAYOTV on Vimeo. 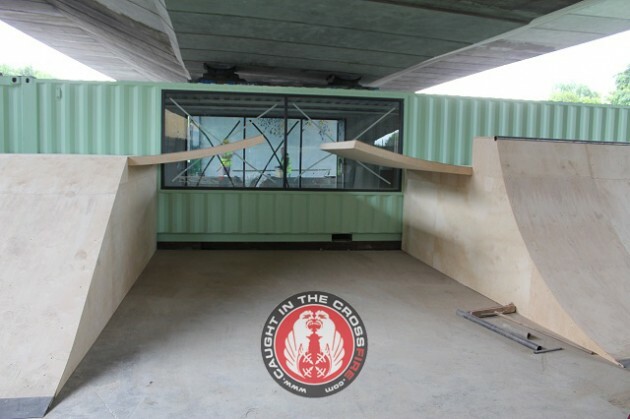 The brand new Bay Sixty 6 Skatepark is opening this Saturday 15th September with what looks to be a memorable event that will see the Nike SB team in attendance to open her with a bang. 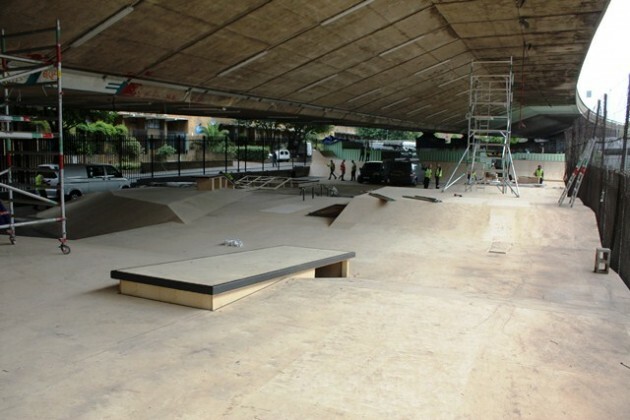 Justin Brock, Wieger Van Wageningen, Theotis Beasley, Sean Malto, Fernando Bramsmark, Korahn Gayle, Neil Smith, Chris Jones, Jak Pietryga, Joey Pressey, Daniel Kinloch are all confirmed to skate the park on the opening day. in related news Kyron Davis who learnt to skate at BaySixty6 after school is now on Nike SB. Check out Wieger Van Wageningen in this clip filmed last week at the park and look forward to this weekend. Click here to see the transformation of the skatepark from the day the first ramps were demolished until now in our ongoing feature. Those of you following the updated feature of the new Bay Sixty 6 Skatepark will be stoked to know that the new park will be open at 3pm on Saturday 15th September. Expect it to open with a bang. If you missed the last video we published from the site build then get stuck into this where Croyde Mirandon who built the park explains the secrets of the bowl and await the final video update next week. The address is Bay 65-66 Acklam Road, London W10 5YU. Telephone: +44 (020) 8969 4669. Nearest tube is Ladbroke grove on the Hammersmith and City line. Bay Sixty 6 Skatepark has just received its first lick of paint this week ahead of the launch that will be released by the park very soon. We were there last week before the paint went down and asked Croyde Mirandon to explain why the bowl was so fast to skate. 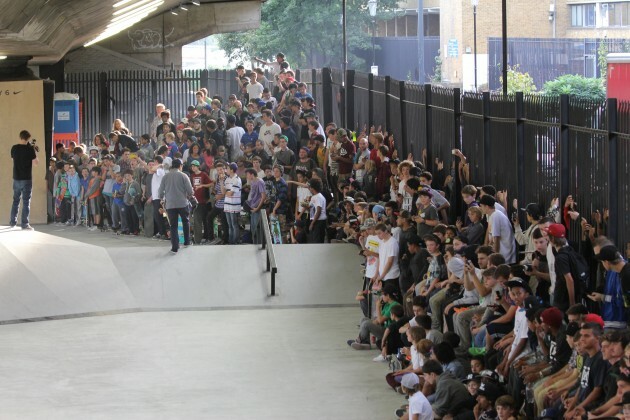 The answers are here in this video alongside a bunch of other angles from the ongoing work at what will be London’s most sought after skate park to ride once the doors are open this month. 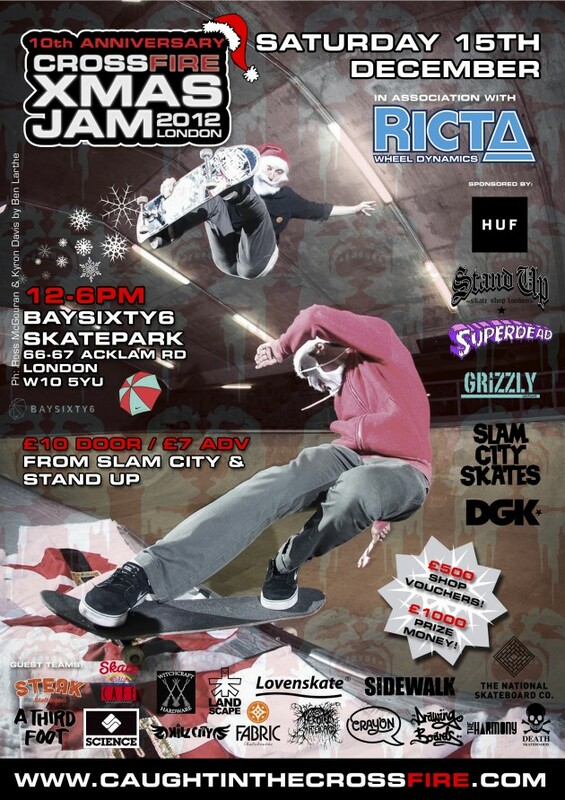 Get ready for some fun this winter at the Bay Sixty 6 skatepark. Not only does the new park boast a bowl for the first time, the new street course now has a ledge that works on hydraulics as revealed in a recent video update from NikeSB today. Set the size of your choice and skate it. Simple. This is the ledge that has the magic system built in below. Click here for the rolling feature of the park’s progress. 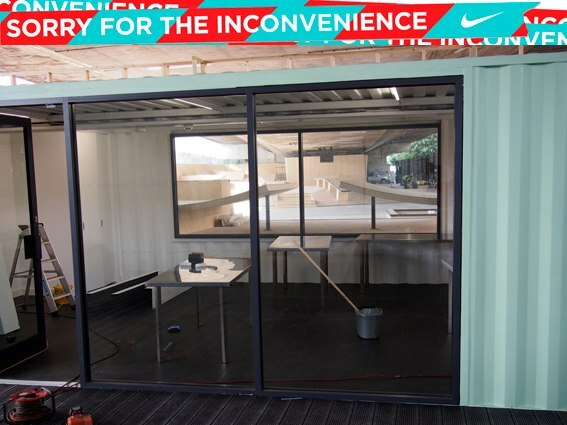 Nike Bay Sixty6 – The Builders from Nike Skateboarding on Vimeo. The carpenters have been finishing off the main body of work in the street course over the last week with the ‘spectator gap’ being the stand out design addition that has been built in front of the new spectator cabin. Check out the new video and photos in the updated feature and feel free to share them as the park really takes shape.